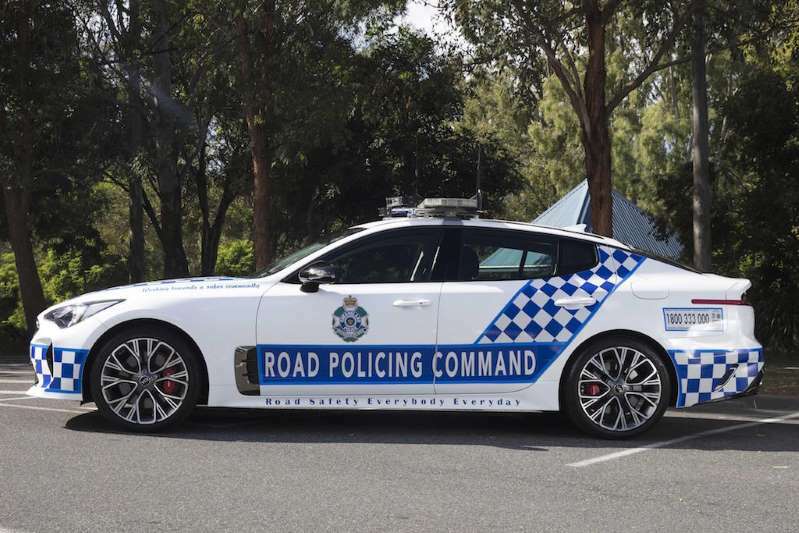 Queensland Police has chosen the Kia Stinger 330 V6 as its highway patrol car to replace the outgoing Commodore and Falcon. 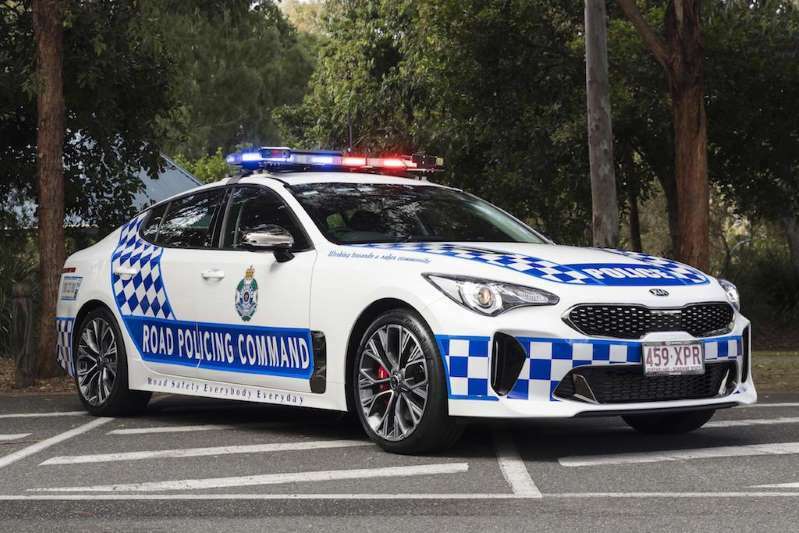 QUEENSLAND POLICE will roll out 50 Kia Stinger highway patrol cars between now and December, replacing the Holden Commodore and Ford Falcon pursuit vehicles. Assistant Commissioner (Road Policing Command) Mike Keating (and Commisioner Ian Stewart pictured below) said the evaluation process had been extensive and in several parts: “It started with the desktop evaluation, then a track performance evaluation and then the operational evaluation conducted in real-world conditions. “The final overall evaluation and review included the very important aspect of maintenance and cost. The Stinger performed very well in all areas and we had nothing but top reports from all the field officers. Kia Motors Australia Chief Operating Officer, Damien Meredith, said the policing role for the Stinger was an excellent outcome for Kia and a watershed moment for the brand image. The Victorian Police announced it would be purchasing the BMW 530d as its highway patrol car replacement while the NSW Police have followed suit in choosing the 530d but also the ageing Chrysler 300C. In its statement to the media, Kia said the Stinger and the Sorento were being evaluated by other police forces around the country. The Kia Stinger 330 runs a 3.3-litre twin-turbo V6 making 272kW and 510Nm of torque. While many see the Stinger as the spiritual successor to the Commodore and Falcon of yore, it isn’t, not in this writer’s opinion anyway. Sure, it’s rear-drive and got plenty of grunt but it’s more of a cruiser than a bruiser. Still, I think Queensland Police have made the right choice…I think the other police forces around the country will be kicking themselves they passed up the Stinger. 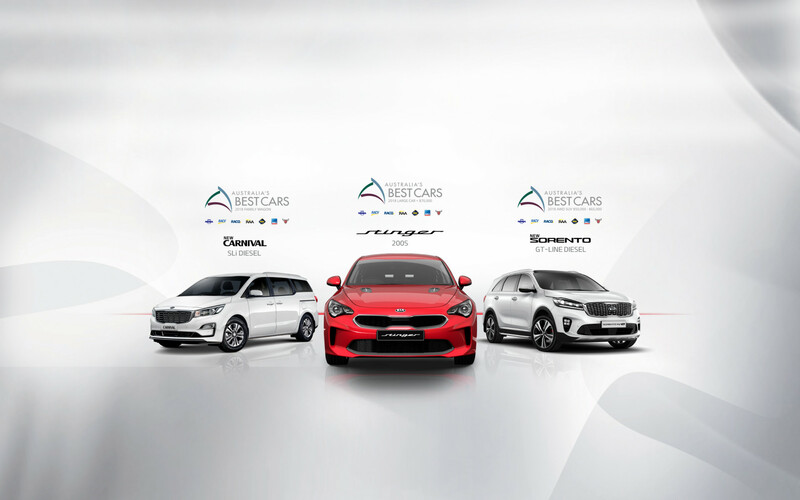 For the third year in a row Kia has scored a triple-treat of top honours at the annual Australia’s Best Cars Awards, judged by Australia’s state automotive bodies. Kia picked up the top accolades for the Kia Carnival SLi diesel in the Best Family Wagon category, for Sorento GT-Line diesel (Best AWD SUV $50,000-$65,000) and Stinger 200S as the Best Large Car Under $70,000 in what is widely recognized as the pre-eminent real-world Best Car awards. “It is always pleasing to receive the sort of endorsement of the product that such relevant awards as the ABCs bestow,” Kia Motors Australia Chief Operating Officer Damien Meredith said. Kia’s outstanding value for money equation and industry-leading 7-year transferable warranty, 7-year capped price service program and 7-year roadside assist also drew praise during the assessment process. Unlike most of the Car Of The Year Awards, the ABC Awards are open to any car on sale in Australia, not just those launched in the consideration year. Sorento doubles up as Optima joins in the fun. 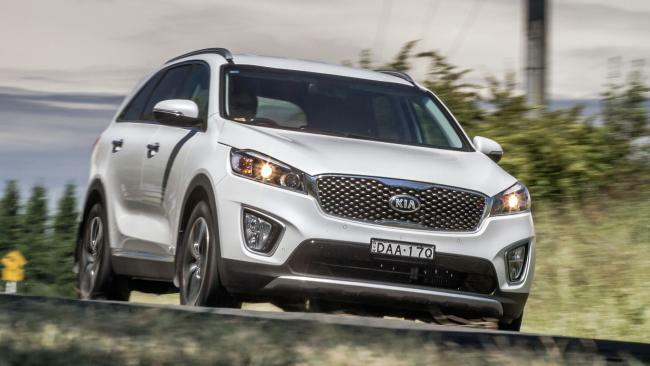 Kia’s multi award-winning Sorento has picked up another brace of accolades while the stylish Optima GT has also joined the gold rush at the annual Australia’s Best Cars awards ceremony. Sorento was voted the best in the AWD SUV $50,000-$60,000 category and backed that up by topping the podium in the Family Wagon (2WD) category. To round out the day Kia’s new Optima GT Turbo won the judges hearts in the Medium Under $50,000 category. “The acceptance of Sorento by Australia’s new car critics has been little short of sensational,” Kia Motors Australia Chief Operating Officer Damien Meredith said. “To add not one, but two, Australia’s Best Car awards to the list of awards is as humbling as it is exciting”. “Then for the Optima GT to also finish as a winner is just the icing on the cake”. 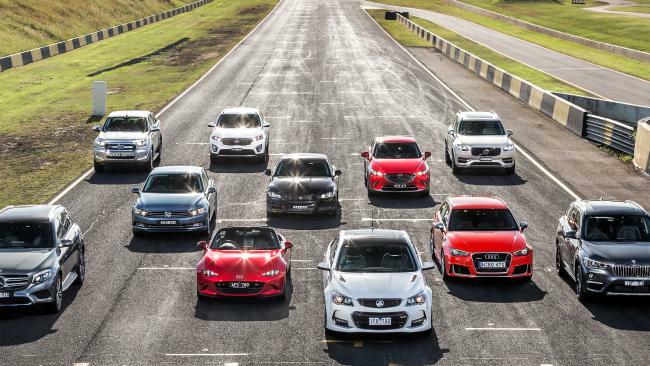 Australia’s Best Cars is judged by experts from the motoring organisations in each state under the auspices of the Australian Automobile Association. The judges assess each of the finalists in the various categories on their value, safety, performance and fitness for purpose among a host of other considerations. For the Family Wagon segment, the ABC judges felt that across the entire ownership spectrum the Sorento “ticks the right boxes”. “In Short, Kia has managed to blend the things people love about a large high-riding SUV with the functionality and versatility of a traditional people mover, the judging panel said. In the battle for the AWD SUV $50,000-$65,000 crown the judging panel felt that Sorento’s improvements in refinement and technology, along with the class-leading running and repair costs, were the keys to an award-winning performance. “With its increased size, refinement, equipment and powerful but efficient turbo-diesel, it’s no wonder the Platinum is the most popular Sorento, the judges noted. For the Optima GT in the Medium Car Under $50,000 category it was again the quality and refinement of Kia’s new turbo petrol hero that won the day. “Quietness is again an element of the premium feel, and it is here that a lot of Kia’s research and development dollars have been spent to get it right, the judges offered. Sorento, backed by Kia’s industry-leading 7-Year Warranty and capped price service program, had previously been named as the Cars Guide Car Of The Year, Drive’s Best Family SUV, Behind The Wheel’s Car Of The Year and OzRoamer magazines Best SUV Over $60,000. THE Kia Sorento family SUV has won the Carsguide Car Of The Year for 2015, defeating early favourites including European luxury models and the world’s best-selling sports-car. The panel of seven judges voted unanimously for the seven-seat family SUV after exhaustive testing during the year, and a final shootout over two days which included thousands of kilometres of real-world driving. Kia, which is the sister company to Hyundai, is just outside the Top 10 sellers list in Australia but this is the second win for the brand in five years after the Kia Rio hatch won in 2011. “Kia have come on in leaps and bounds in recent years,” said Carsguide editor Richard Blackburn. The Mazda MX-5 sports car, known for its fun-to-drive character and new low price, was an early favourite to take out the top prize. So too was the just released Mercedes-Benz GLC SUV, which is based on the same underpinnings as last year’s award winner, the Mercedes C Class sedan. The $49,990 Kia Sorento SLi diesel took out the award because it excelled among its direct rivals in terms of value, low running costs and its industry-leading seven-year factory-backed warranty. 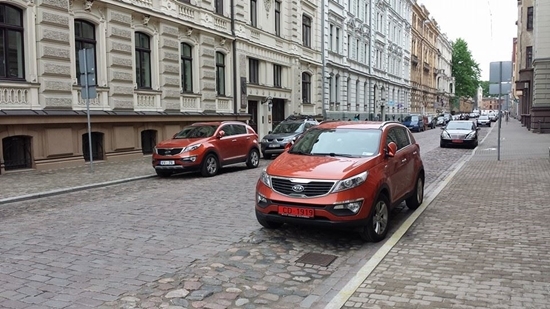 When the final counting was done, the judges also determined that the Kia also stood out among European SUVs costing twice the price. “The Sorento can hold its own in any company. If you’re still put off by the badge on the nose, it’s your loss,” said Mr Blackburn. The other contenders for Carsguide Car Of The Year in 2015 included the new Volkswagen Passat sedan, Ford Ranger ute, Jaguar XE sedan, Mazda CX-3 city SUV, Audi RS3 hot hatch, Volvo XC90 luxury SUV, BMW X1 compact SUV, and the Holden Commodore SS-V Redline sedan. Germany’s highly very popular and highly respected car magazine Auto Bild has described the Kia Venga as “the dream of every buyer” after completing a worry-free 100,000Km long-term test. After driving the Kia Venga 1.4 Litre CVVT EcoDynamics model over two years, the testers praised its incredibly roomy family-friendly cabin, high driving position, large entry and exit openings, practical sliding rear bench seat and very quiet engine during city driving. 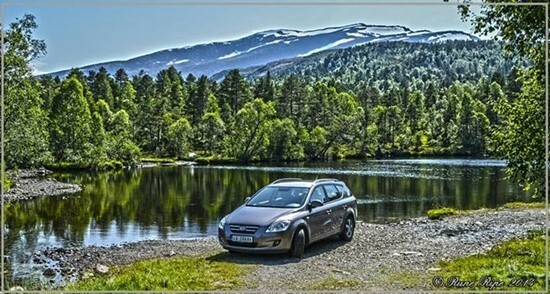 Throughout the entire two year test, the Venga’s engine required no oil top-ups between servicing, the transmission was worry free and reliable and the car was still braking perfectly with its original pads and discs even after two years of city driving. Breaking the Kia Venga down into its numerous components with the help of experts from DEKRA (German motors vehicle inspection association), the magazine’s team investigated and examined the parts in detail and revealed only one prosthetic fault – a small crack in the front fog lamp socket which would cost less than 60 dollars to replace. Of the 97 cars subjected to Auto Bild’s long-term test since 2000, the Kia Venga has been ranked an incredible second, marking its position as one of the most reliable and satisfying cars to own. Concluding its six-page report on the Venga. 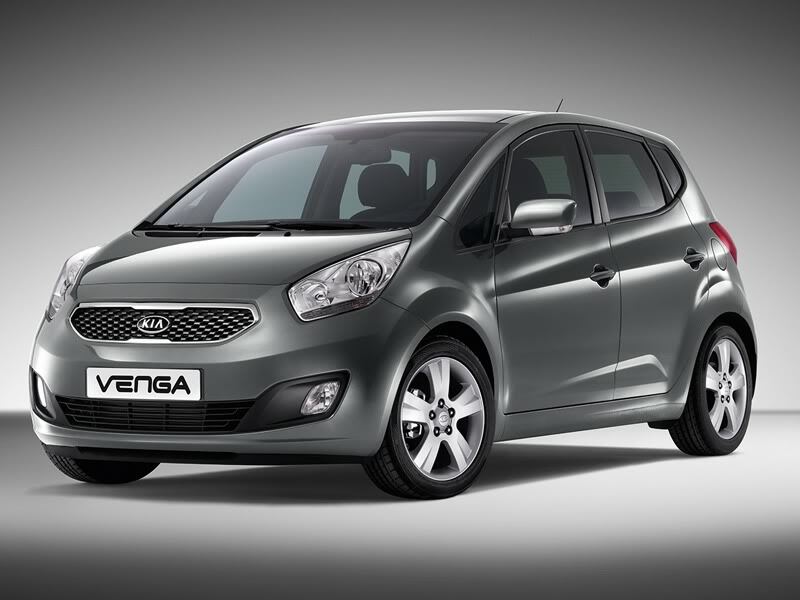 Auto Bild stated, “The problem-free Kia Venga just runs, without a worry or complaint and with complete reliability. The practical Korean car scores a dream result and its easy approach to technology makes it a role model and the new benchmark – what’s not there can’t go wrong or break. Kia New 7 Year Unlimited Kilometer Warranty. 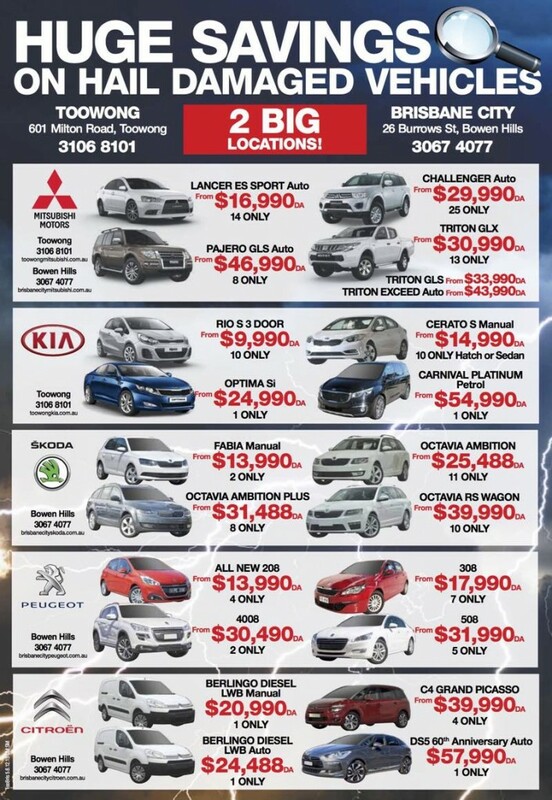 On the first on October 2014 Kia announced possibly the biggest game changer the Australian market has ever seen, they Increasing their warranty to an unbelievable 7 year unlimited kilometer warranty. The new warranty provided my Kia Motors means that new motorists from the first of October will be covered by the warranty till October 2021, on top of that customers also receive 7 years capped price servicing and 7 years roadside assist. The capped price servicing that Kia provides is fantastic, they will not only provide their customers with a log book service but they have also included the parts and labor for a brake fluid change every two years and a map update package for the first two years as well but they have also agreed to changing the pollen filter whenever it needs to be replaced at no extra cost to the customer. The nationwide roadside assist that Kia provides is through Assist Australia, which delegates jobs down to RACQ, NRMA and RACV on the east coast. This means that in each state of Australia you will be taken care of by the major provider 24/7 no matter how big or small the job is. The road side assist is provided to the customer for the first 12 months but will be renewed at each yearly service to insure that customer gets the benefits of the full warranty, capped price servicing and road side assist packages. This new warranty does leave some people asking the question “what if I picked my vehicle up on the 30th of September”, Kia does understand that with a great new update to their product that they can’t update previous customers warranty but what they can do and have done is increase all current Kia customers capped price servicing and roadside assist to 7 years to help with the adjustment. The only thing that is left to wonder is will the other manufacturers increase their warranty to compete or will they let Kia take the market by storm? All I know is that any manufacturer with a three year warranty will need to step their game up or they will be left to the side. Every day, Kia engages with fans from 172 different countries around the world, and their enthusiasm for the Kia brand has been truly amazing. In appreciation of all of our global fans, we have been running a series on Kia’s official worldwide Facebook page called #KiaYourCity featuring Kia vehicles captured in some of the world’s most beautiful cities. The response has been remarkable, with fan photos pouring in from around the globe showing Kia rocking cities everywhere. 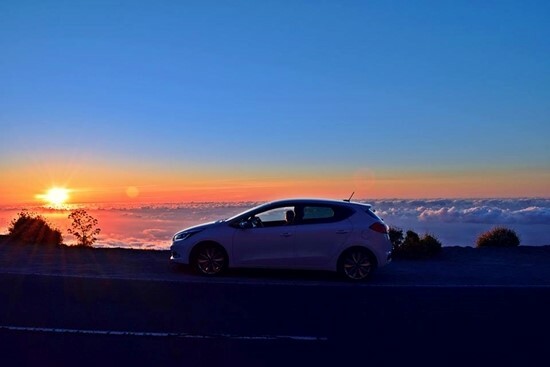 In this dedicated BUZZ post, we would like to express our gratitude to our fans and offer you a virtual world tour through photos shared by Kia owners on our digital channels. 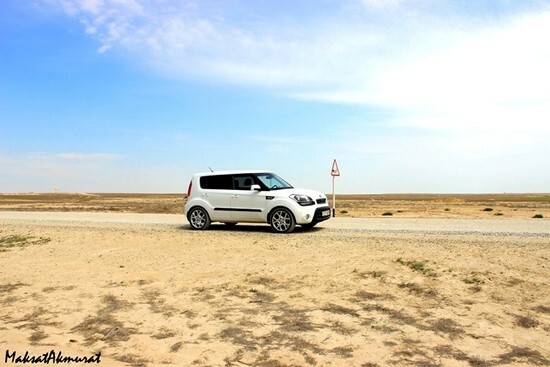 From the vibrant cities of the Middle East to the breathtaking scenery of Europe, Kia fans have covered it all. Kia is always curious about the part our vehicles play in their owners’ daily lives. We are grateful for the close looks at the lives our global fans have offered through the #KiaYourCity campaign. Thank you all for sharing pictures of your Kia, and please keep them coming! Your city may be featured on our next social media posting. 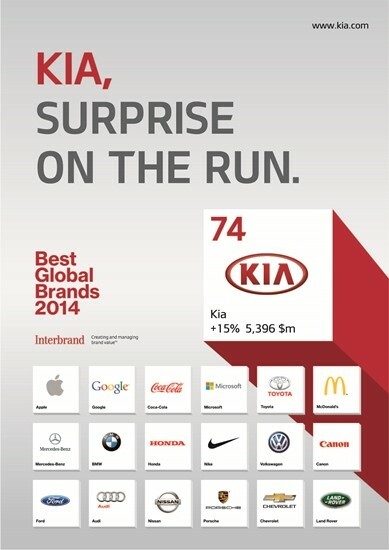 After being named one of Interbrands Best Global Green Brands earlier this year, Kia Motors has jumped to number 74 on the definitive list of 100 Best Global Brands. This is nine spots ahead of last year’s ranking on the annual list put out by international brand consultancy Interbrand, which ranks the world’s most valuable brands. 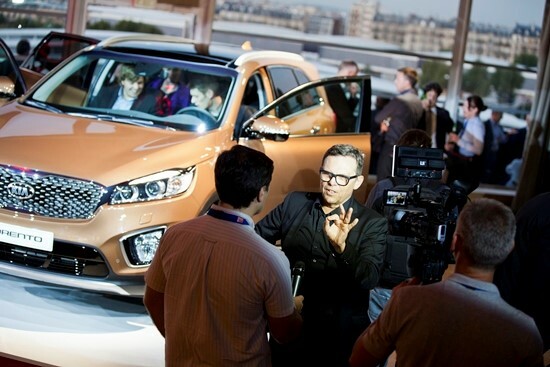 Moreover, Kia’s brand value has skyrocketed about 480% since 2007, after hiring Peter Schreyer as chief design officer and placing design at the core of its management philosophy. Additionally, high-profile marketing campaigns including sponsorship of the 2014 FIFA World Cup Brazil™ and Australian Open 2014 tennis championship as well as recent new product launches (including the Soul EV) have all contributed to this year’s significant increase in brand value. Interbrand attributes Kia’s “continued branding efforts, expressed in the slogan, ‘The Power to Surprise’” as having led to a successful repositioning “from a ‘low cost alternative’ brand to one that appeals to more design conscious consumers, or those who value an emotional connection to brands.” And fittingly so, we have recently launched new sensory branding campaigns, including Taste of Kia and a trademark Kia sound signature. Kia Motors vows to continue to step up our game in maintaining our image as a fun and exciting brand that resonates with our fans all over the world. Germany’s highly respected and popular car magazine Auto Bild has described the Kia Venga as “the dream of every buyer” after completing a trouble-free 100,000Km long-term test. After driving the Kia Venga 1.4 Litre gasoline CVVT EcoDynamics model over a period of two years, the testers praised its spacious family-friendly cabin, high driving position easy entry and exit, versatile sliding rear bench seat and quiet engine during city driving. Throughout the test, the Venga’s engine required no oil top-ups between servicing, the transmission was completely reliable and the car was still braking well with its original pads and discs at the end of the two years. Stripping the Kia Venga down into its numerous components with the help of experts from DEKRA (German motors vehicle inspection association), the magazine’s team examined the parts in detail and revealed only one minor fault – a cracked front fog lamp socket which would cost less than 60 dollars to replace. Concluding its six-page report on the Venga. Auto Bild stated, “The problem-free Kia Venga just runs, without complaint and with complete reliability. The practical Korean car scores a dream result and its simple approach to technology makes it a role model, a new benchmark – what’s not there can’t break or go wrong. This is an exact article taken from Kia Motors Vision 21 Issue 129.